No it is not sanctioned by this nation’s Founding Fathers. No it’s not in the Declaration of Independence. No it’s not in the Preamble. No it’s not in one of the seven articles of the Constitution, nor is it one of the twenty-seven amendments. You will not find it in the Emancipation Proclamation. You will not find it in the statues of this state. Nor in the ordinances of this city. But we have the right, the God given right to rage. We have the God given right to scream until the earth shakes from the vibrations of our voices. No other creation on this earth has had to bear the same pain as black women, and be expected to be silent. So silent, no longer we will be. They say having a breakdown is a luxury only white women can afford. Strong black women, stone faced and stone hearted are expected to grin and bear it. Cause no-no-no not the black woman. That sistah ain’t human. She like those cartoons that get ran over and pop back up unharmed. I know, I know it’s hard to imagine, but we black women are not cartoonish figments of your imagination. Our lives are not animation films. In the name of black womanhood we are rebuking the myths you hold about our existence. We will not aid in our oppression by becoming flies on your wall. Walls we helped build. Walls filled with the stains of our blood from the countless times you said you loved us. Loved us so much you tried to kill us. Those stain…stared back us when our body hit the floor. No more walls. Brick by brick me and my sistahs will dismantle these walls. Walls used to fence us in, because your very nightmare is our liberation. It’s the demons that keep you up at night. It’s the reason your mind continues to go on and on and on about plans to defeat, an undefeatable black woman’s liberation. Just the sound of it. Just the thought of it. Something must be done. So you quote us Paul, who states that women should remain silent. So you tell us “ssshhhh black woman.” Follow the word. Oh yes we reads our word. Paul was an apostle he was not God. And God didn’t make black woman mutes. God does everything on purpose. And on purpose: In retaliation to your silence when we needed you most, we speak. Our words are the bullets that pierce your heart. Blood of shame seeping from your chest. 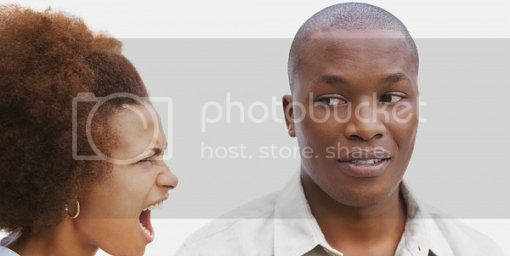 You get angry, and whisper “no-no-no-no” black woman…silence. What happens in the oppressors house, stays in the oppressors house. We are done wearing a mask of smiles to suffice your ego, and ease your conscious. We are not lazy-boys. No longer do we give a damn about your comfort! We will continue to raise our voices. Letting the fire of our rhetoric, burn through the oppressors house until only ashes remain. The harmonious echoes of our voices, will shake up this world. Until this upside down world, is right side up again. So sistahs speak. Continue to use the power of your voices, and let the world know your story, my sistahs speak.